So in one week we have lost Ed McMahon, Farrah Fawcett, Michael Jackson... and now commercial pitchman extraordinaire Billy Mays, found dead this morning by his wife at their home in Florida. Gonna miss him. 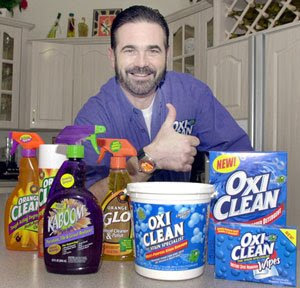 It was always so easy to make fun of Billy Mays and that voice of his (which seemed to be a natural gift for his chosen profession) but let's face it: the guy was very good at his job. He did his best to be a pitchman and in turn became something much more: a bona fide legitimate character in his own right. Check out my take on Billy and stick around for more good content. Geez, what a bad week. The best of the best have died. Last week was a bad one -- I still feel worn out from all the depressing death news. I always liked this guy on his commercials -- so young to go!